A prominent member of a kidnap gang was killed during a clash with the Afghan national police forces in Kabul city late on Tuesday night. 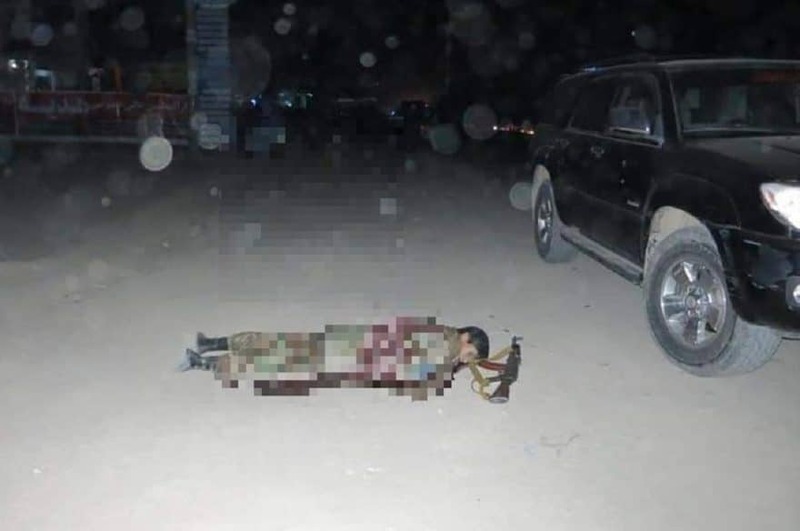 The Kabul Police Commandment in a statement said the incident took place at around 11pm local time in the vicinity of 17th police district of Kabul city. The statement further added that Omran, one of the prominent members of a kidnap gang was killed during an exchange of fire with the police forces. Omran was killed during a clash with the police forces of the Criminal Investigation Department, the statement said, adding that Omran was involved in kidnap and murder of several people including abduction of an employee of an international organization. The police forces confiscated a military uniform, an Ak-47 assault rifle, a vehicle, and three magazines of Ak-47 rifle, the Kabul Police Commandment added in its statement. جناب اشرف غنی از خر شیطان پایین شود و به عوض خط سرخ از خط سفید و مذاکره در چوکات منطق صحبت کتد.